Even though WordPress was originally conceived as a platform for bloggers, over the consequent years it has evolved into the limitless multi purpose CMS we have today. 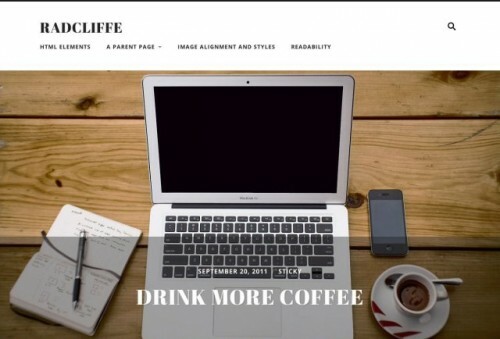 If you have a WordPress based site, then you know that one of the first choices you have to make is your choice of theme. 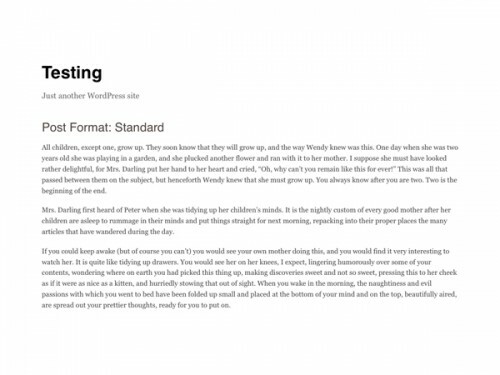 So, here in our today’s post we have compiled a bunch of clean, some bordering on the minimal free WordPress themes for writers and bloggers. Hope you like this post. We’d love to have you Pin It, Tweet It, Stumble It and Facebook It to let others know that this resource is now available to them! You may be interested in the following modern trends related articles as well: Useful Free Sub Pages WordPress Widgets, Creative Grid Based WordPress Premium Themes, Useful Free WordPress Cookies Plugins and Exclusive Free Journalist WordPress Themes. 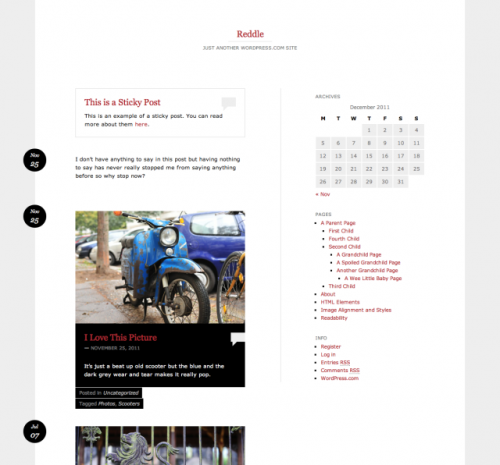 A clean and simple theme for bloggers, with responsive design and beautiful typography. Lingonberry’s got all the features you need, and none that you don’t. It’s designed to be easy to install, use and visit. As the name implies, Lingonberry has a charming, simple and colorful visual style that is easy on the eyes (and on the loading times). 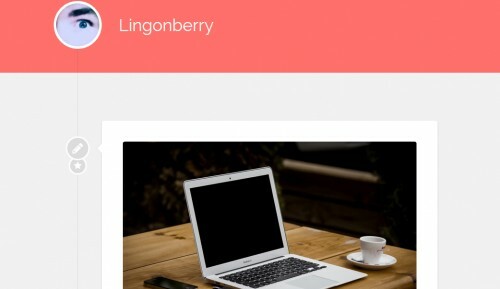 Lingonberry supports all post formats and provides unique styling for all of them. No matter what kind of content you want to publish, Lingonberry’s got your back. Reddle’s layout were inspired by an older theme called Rubric but there’s really nothing basic about its minimal layout. Everything about the design adapts to how you want to use your blog and what you want to use it for. Want to you use your blog for a simple one-column link blog? A two-column business site with a custom header and no posts? Reddle can do that. It even adapts its layout to visitors reading your blog from a device like an iPhone. 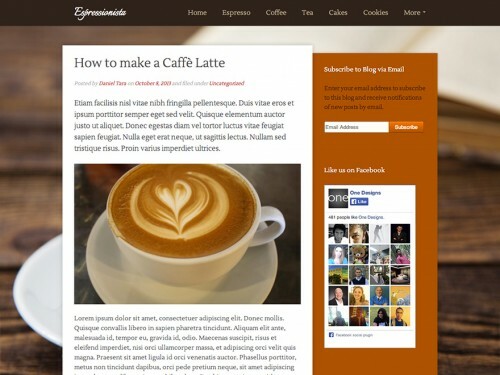 A handcrafted theme for bloggers who love to write while enjoying a good coffee. With carefully chosen typography and a pleasant color scheme inspired by espresso based drinks. The theme has a responsive layout which fits on almost any device, a static header and a special feature that makes overflowing menu items stack inside a sub menu group so the main navigation always displays in one line. This is a purely content-only theme with a design catered to typography and readability, driven towards writers. There are no menus, widgets, pages, search or anything else outside of the posts page and single posts. 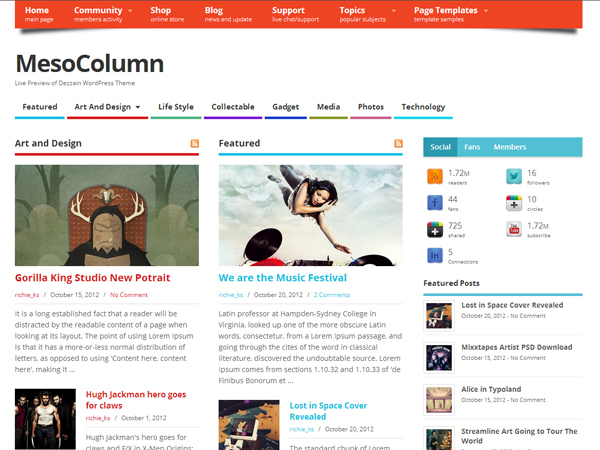 This is a minimalist, responsive theme designed around content, not bells and whistles. The theme is completely free, and though you can grab a copy from the WordPress Theme Repository, the most important aspect of the theme. The theme is seriously no-frills as it’s primary goal is to facilitate drafting and publishing content. It supports a custom header image in the sidebar, it’s fully responsive, and it’s obviously been reviewed. 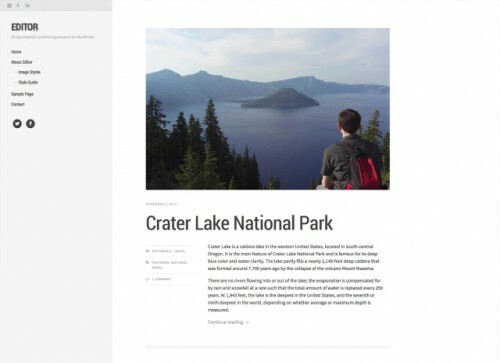 Geared toward personal bloggers and photo bloggers, Editor includes big typography and images, plus a tab-based sidebar with a spot for a social links menu, featured posts, and a site logo. Editor comes with a few custom styles you can use by switching your editor to Text mode. Add your chosen tag to the posts you’d like to include in the featured posts area in the sidebar, which will be visible when you click the pushpin icon.